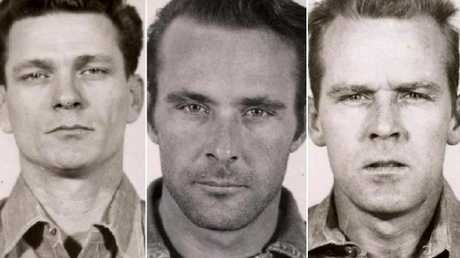 The prison mug shots of convicts of, left to right, Frank Lee Morris, Clarence Anglin and John Anglin. MARIE Anglin Widner has been waiting rather patiently over the last 55 years. She's lived in the same house, with the same phone number, waiting for the day to come, waiting for a sign, waiting for somebody special to find her. She's 82 now and lives in a small town three hours south of Atlanta, Georgia. She's stayed here for so long because she still holds out hope that her brothers are alive, against all the odds, after what has been dubbed the "great escape" from the world's most inescapable prison. Marie still hopes that one day, John and Clarence Anglin might just walk through that front door. Despite the FBI officially declaring Marie's brother's dead long ago, the US Marshals disagree, and despite the fact the two men escaped from their island prison more than 50 years ago, the Marshals are still hunting for them. Marie is positive her brothers are still out there somewhere, two old men still outsmarting everyone, even in their old age. They have apparently been spotted across the world; the Bahamas, Brazil and Panama to name a few. The US Marshals will continue to hunt a suspect until they either positively identify the death of a wanted criminal, or when the fugitive turns 99. But to this day, no one can quite figure out what exactly happened on the fateful night of their ingenious escape. Mythbusters says they would have survived. The FBI says they didn't. Sightings have come and gone. But definitive proof either way is yet to be seen. "I'll cut to the chase. If these guys got off the island, what did they do after they got out of here? They moved to Brazil? They moved to Mexico and became farmers or they moved to Tibet and became monks? If you look at their background, they were involved with criminal activity ever since they were children. For them to get off Alcatraz and not rob, or steal, or nobody to see them, not to leave a fingerprint?" national park ranger on Alcatraz Island John Cantwell told news.com.au. "Everybody has an opinion, it's all speculation. It would be nice if they learned their lesson and they never broke the law again but three individuals involved with crime? For them to go underground for over 50 years, I don't know." Despite the age of the case and the fact he says he "didn't want" the job, Supervisory Deputy of the US Marshals Michael Dyke, the lone investigator on the case, says he still receives tips to this day. Fifteen years ago, Mr Dyke was handed thousands of files from various law enforcement agencies dating back to 1962. He says there have been many, many leads in the case, but nothing that provides solid evidence that the men survived the rocky ride on a raft made of rubber raincoats. Marie's brothers, John and Clarence Anglin, had a long criminal history and by the time Clarence was 14 he was already serving time in a rough youth facility, the State Industrial School for Boys. John was never far behind. They were notoriously terrible criminals; they would get out of prison, commit a crime, and get caught all over again. They spent time in prisons in Alabama, Georgia and Florida. They escaped constantly - and would eventually show up at the family door. Some reports state they successfully escaped from every single prison they were ever sent to. It was a bank robbery in Columbia, Alabama, in 1958 that would lead the brothers to historical notoriety and a conspiracy theory that has lasted the test of time. 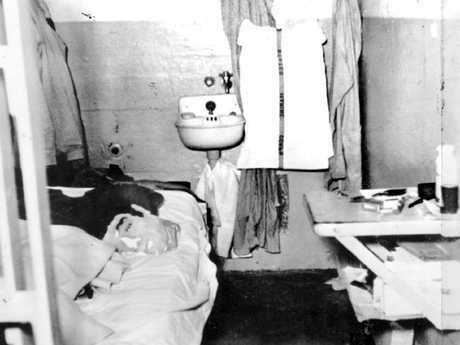 A dummy head in a cell at Alcatraz Prison, used by inmate John Anglin to fool guards while he and two other convicts escaped in 1962. 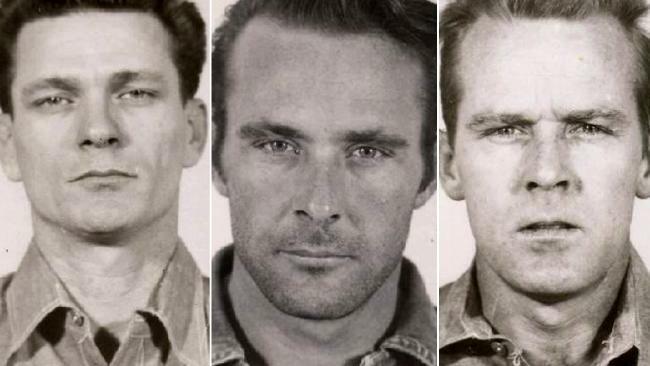 The brothers were caught in Ohio by federal authorities days after the bank robbery, and after another escape attempt in 1960, John and Clarence were finally sent to the one place authorities thought they could hold them - Alcatraz. Alcatraz is a small island 2km off the coast of San Francisco. It was initially a military base and prison, but in 1934 it became a federal prison designed to hold troublesome prisoners - and keep them there. It was Alcatraz that housed some of America's most infamous gangsters and criminals; Al Capone, Robert Franklin Stroud (The Birdman of Alcatraz) and George "Machine Gun" Kelly. San Francisco Bay's currents are notoriously strong, cold and treacherous. The isolation of the island and the difficulty of manoeuvring through its waters alone made it the ideal location for federal authorities to place a prison like Alcatraz. The FBI said of Alcatraz that "escape seemed near impossible". But that didn't stop inmates from trying. During its time as an active prison, a total of 36 men made 14 escape attempts. Of those, 23 were caught alive. The rest weren't so lucky. Some were shot. Some didn't even make it to the water. Only five are listed as "missing and presumed drowned". No one positively made it out alive, but Marie says she has proof stating otherwise. "They [Clarence and John] were spotted at mumma's funeral dressed as women, and when my dad died they were spotted two hours before the family were meant to be there. They went to view the body, hats, beard, long coats, didn't say a word, didn't sign a book, but stood there for about 15 minutes and then left," Marie told the Criminal podcast. "The lady that told us, she would not lie, she spotted them. They like to take chances. They do things nobody else would do. The spottings were true, they come from a reliable source." She told the Donalsonville News she "knew they made it". "A US Marshal told us he knew they made it. He said they found the raft on Angel Island, footprints leading away from it, and a car was stolen that night. He said they did make it." John and Clarence Anglin made what has become known as one of the most "intricate escapes ever devised" - and the question of whether or not they survived the ordeal continues to haunt the US Marshals. "I had the radio on, and they broke into the news channel and I heard about the escape from Alcatraz. I said, 'I know that was John and Clarence' before they ever told it. I said, 'That's them! They got out of there!'" Marie told the Criminal podcast. "I was not worried, I know they were good swimmers. I was speaking to the Marshals and I said I know why they didn't like Alcatraz; the bed was too hard." On the night of June 11, 1962, John and Clarence made their escape from Alcatraz prison. It was so daring it would eventually inspire the Clint Eastwood movie Escape From Alcatraz. With the help of another prisoner, Frank Morris, the three men plotted their escape for months right under the prison guards' noses. Along with accomplice Morris, the bank robbing Anglin brothers crept out of their cells through holes dug meticulously for months with spoons. 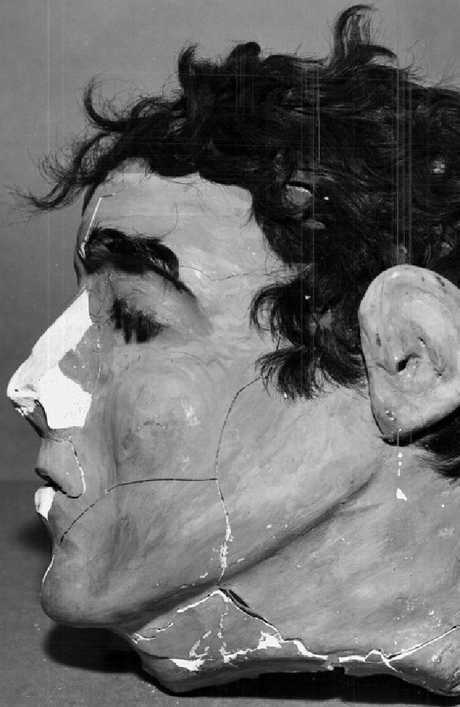 They used fake papier-mache heads to fool prison guards into thinking they were asleep in their beds while they escaped through the tunnels. Clarence collected hair from the barber shop to make the heads as lifelike as possible - the heads even included eyelashes. They painted cardboard grills around the holes to conceal their scheme, which worked masterfully. It was believed they then attempted to paddle to freedom from Alcatraz Island on a raft made solely from 50 homemade raincoats. They got the instructions from a famous article in Popular Mechanics magazine. 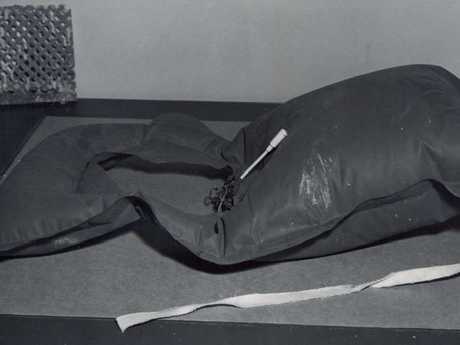 They made paddles and then life vests out of the same material which was later tested by the FBI. The vests passed with flying colours. The plan was to paddle to nearby Angel Island and steal a boat, then a car. But there was no trace of the men. Anywhere. 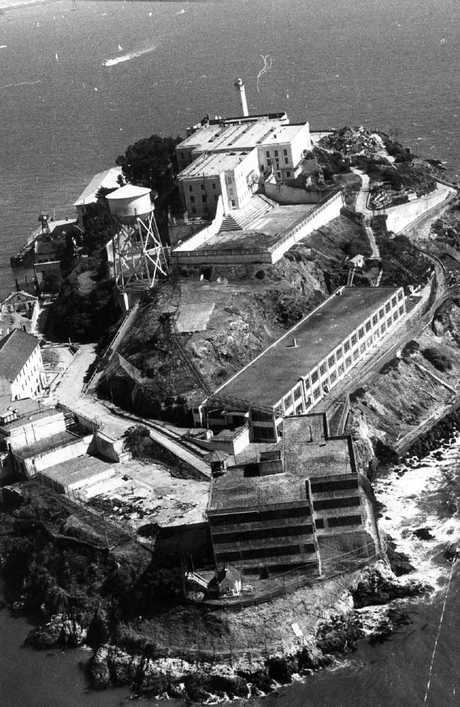 A paddle was discovered nearby Angel Island the day after escape, which matched the same paddle of one left in the prison. Days later, a packet of letters was also found. A life jacket washed up nearby the Golden Gate Bridge. But bodies? Nothing. "Once they went into the water obviously nobody knows what happened. There has been no positive proof that anyone lived," US Marshal Dyke told Criminal. 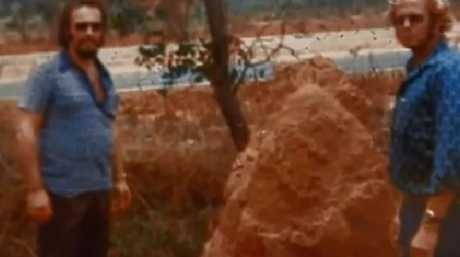 But in 2016, their nephews reignited the mystery by presenting the police with a photo which they claimed was John and Clarence in Brazil in 1975. Ken and David Widner, of Georgia, claimed their uncles were picked up by a criminal associate who whisked them to freedom in South America. They then presented a photo they claim was taken on a Brazilian farm owned by the men. US Marshal Dyke says he had the photos analysed and he wasn't convinced, he found the images inconclusive. "I work with the US Marshals and they say it's bogus," Ranger John told news.com.au. "Measurements of their bodies show they are not the same people, it's not even a real photo." If they were caught today, Dyke says, they would surely be arrested and sent to court. Whether it's worth the trouble is another story. In the meantime, Marie continues to wait. "I'm still waiting, sure, I'd love for them to contact me." - Do you think they survived? Continue the conversation with Matt Young on Facebook or Twitter. - Marie's son, David Widner, has written a book: Escaping Alcatraz: The Untold Story Of The Greatest Prison Break In American History. - You can listen to Marie's interview in full on the Criminal podcast. 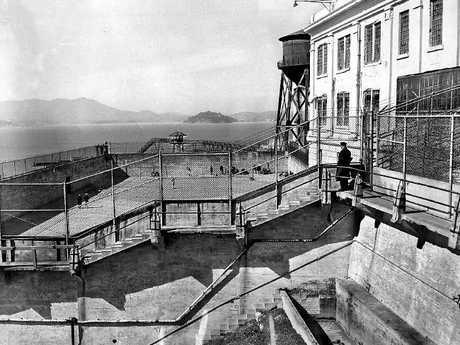 A guard watches inmates play softball at Alcatraz Prison in 1956.